You Know You Married a TCK When…..
You’re listening to National Public Radio (NPR) and she shouts – “I know that reporter”. You’re playing Trivial Pursuit and she gets stuck on pop culture but gets every country question correct. You have to teach her idioms. Again. And again. And again. Every three months she has to either get across an international border or rearrange the furniture. You try to convince her that she cannot bargain for fresh produce at the fixed price grocery store. She nods and laughs at a joke, but you know by the look on her face that she does not understand a word of it. You find her in tears after trying to order coffee in her passport country. She gets ragingly envious when you have an overseas trip — and she doesn’t get to go. You know that the only restaurants she will want to go to on Valentine’s Day are ethnic restaurants. One of her favorite places is the international terminal at the nearest airport. Every immigrant she meets becomes her best friend. She dissolves in tears when she hears news reports of tragedies from her adopted country/countries. Her decorating style mixes samovars with reindeer, white lights with Egyptian perfume bottles, and Turkish bowls with books. She is fiercely protective of her TCK “tribe.” You criticize her tribe – you criticize her! She has no problem sending her kids across the ocean to countries with uprisings and revolutions but sits up half the night worrying about them driving your car down the street to a friend’s house. She gets completely paralyzed in the cereal aisle of a grocery store. Or the bread aisle. Or the chips aisle. Or the…. What would you add? Spouses or TCKs are welcome to contribute! 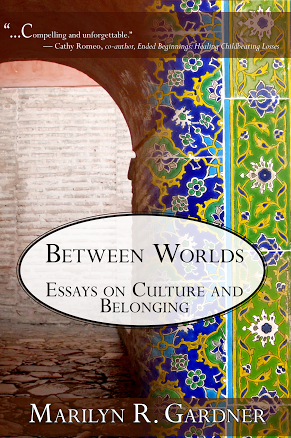 Readers – today is the last day to purchase Between Worlds and have the royalties go to toward refugees in Turkey! Read reviews below! You know you’re with a TCK when you’re not really sure which country is her/his adopted country. You know some words in “her” language because for some reason they just never come out in English. My husband knows “sour cream” and “lets go” in Russian because I just can’t seem to think of it in English when I need to say it. These are great. #2, 4, and 12 are definitely me! Yes! I love this. So true. The whole language acquisition piece is so interesting. How these languages become part of our developmental process. So glad you read this – thank you for adding to it. So true about the language thing. There are concepts that don’t have words in English, and so without thinking I just use the ones from home. And one of the most attractive things to me is when he starts using them, too. I grew up as a child of missionaries who had settled in a neighbouring country to their passport country. Many of these experiences were also mine but without the personal experience of having lived anywhere else. I remember being envious of TCKs because they had been to other places but were also becoming understood. I had the impact of my parents missions activities but nothing to show for it! It truly was like living an ‘other’ life, but even other to my own life. #8… I maintain that the only reason I am alive today was that my mother was in the room when I was invited to go to Israel. The temperature of the room dropped at least 10 C. As the husband of a TCK, I can relate to many of these. And now we’re preparing to make our kids at least partial TCK’s. Thankfully my wife knows of the possible pitfalls. Even with these speed bumps, I think there’s a richness that comes from being a TCK that I as an “American” (hjc7777, thank you for putting it in quotes above) just can’t fully grasp. We who’ve never really lived “abroad” can often have a very limited and egocentric world view (thank you trotters41). So I wonder if we’re not the ones who should claim “otherness” and those who have a wider cultural experience shouldn’t be the ones who are – for want of a better word – normal. How sad that we consider “well-rounded” to be the more unusual. That whole TCK thing of belonging everywhere and nowhere? REALLY feeling it right now. On one hand, I feel so at home in Cambodia. I feel so at home overseas. I am not nostalgic for Christmas in America right now. I am happy with Christmas overseas, living among the displaced, at home among the displaced. Place isn’t as important to me. I feel like I could live anywhere, and thrive in what God asks me to do, because all I need is Him, and a place to forge relationships and use my gifts. (I don’t know if that’s actually true, or just a feeling I have.) But I don’t struggle to be here like many people do. That in itself is sort of strange. And I ask myself why this is. I don’t know. I only know I feel I “fit” here, yet at the same time, I don’t feel I fit in any camps at all. Sometimes I feel lonely, yet other times it feels I’ll never be lonely. And sometimes, I feel both those things at the same time. Sigh. I know. I’m a confused chaotic bundle of brain cells today. I know the feeling….was an MK for ages 14-18. What does that make me? Half American, half MK? Four culture kid? Yet you wrote verbatim how i feel all the time. But “americans” don’t want to hear these things, can’t understand them, and think you’re just being overly dramatic about the past. She knows greetings, thank you, and where is the bathroom in more than a dozen languages. So…yeah…I totally identify with all of these, especially 10 and 11. And the idioms, I just referred to someone as a wet fish, when I really wanted to say that they were a wet blanket. Don’t even get me started on the cereal aisle. Idioms confound me in my own language. I find them easier in Arabic or Urdu :) Like “Par for the course” – for years I would go around saying “Well that’s just power for the course…” until a friend corrected my idiomatic ignorance. Love this story and the cereal aisle can reduce me to tears still. She has more loyalty to an airlines than a country. She has more loyalty to an *airline than a country. YES! And that would be Swiss…or Turkish Air. I need to add these! Oh yeah! I can remember being soooooo embarrassed the first time my husband tried bargaining with a sales person at Kmart :) Or being amazed that he didn’t even know who Frank Sinatra was, nor had he seen a single solitary episode of any of my favorite shows while growing up. Ours was a pretty fast courtship (engaged in 2 weeks, married in less than 7 months) so I really didn’t know how very different our worlds were until AFTER we were married. 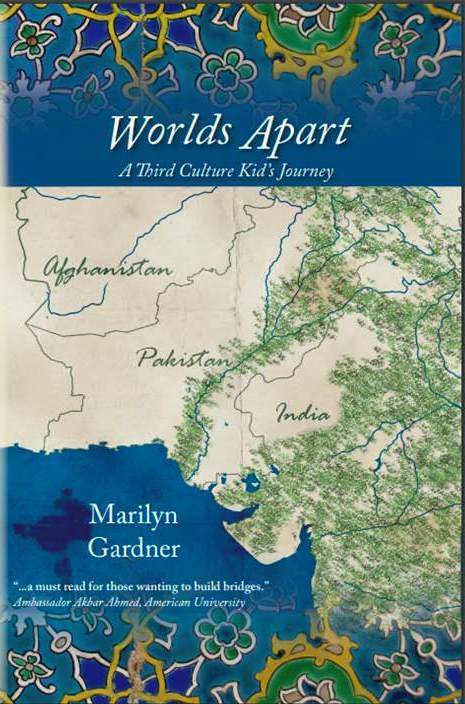 It would be 20 plus years before a kind counselor gave us the book “Third Culture Kids” and we both came to understand so much of what we’d struggled with, him always feeling somehow “other” and me getting frustrated with his “otherness”. But then we spent a year in Africa, and even though it was a short amount of time, all things considered, it helped me understand even better the heart of my TCK. It also left me able to send my daughter back to Africa on her own a few years later, without freaking out about all that could go wrong. I knew my well-traveled 19 year old would be just fine :) (Prior to going to Africa with us, we’d also gone to Argentina and Europe.) I remember being surprised at how many friends and family thought we were nuts for letting our baby girl go to Africa by herself — and then realized I’d have felt the same way, were it not for our year in Uganda. Now we live in South America, and I see the children of other expats dealing with the same things my husband did — but I’m grateful there are a lot more resources available to them. Yes, they’ll still struggle, but they’ll know they’re not alone and that what they feel isn’t weird or awful. I often pass along your posts to my friends who are raising kids overseas for that very reason. I LOVE this Kim – and I so relate to your husband’s sense of ‘otherness’ that is so difficult to articulate. I was thinking the same thing about resources the other day. There is so much more. But I still think there is a danger in people not thinking this TCK thing is real. I see it over and over in subtle ways. Love hearing some of your story here.